India has implemented dual GST. In dual GST regime, all the transactions of goods and services made for a consideration attracts two levies i.e. 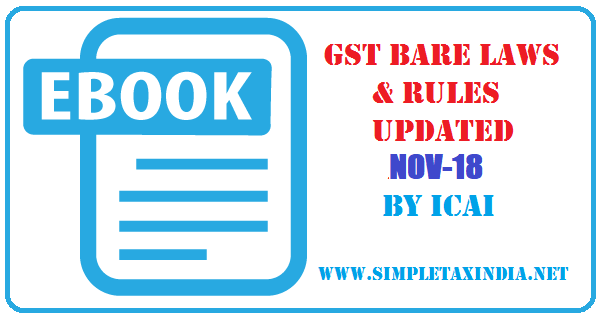 CGST (Central GST) and SGST (State GST). The Central GST (CGST) has inter-alia replaced erstwhile central excise duty and service tax. CGST also cover sale transactions. The Constitutional Amendment Act, 2016 contains suitable provisions to enable Centre to tax sales. CGST is administered by the Central Government. The CENVAT credit balance available under CENVAT Credit Rules with the manufacture or service provider, as on the date of transition into GST, could be carried forward. In respect of tax paid goods in stock as on the date of transition credit not availed in the past or not eligible at that point of time, available under GST could also be availed and used towards disbursing CGST (Central GST) liability. Under GST Law, there are time bound transition provisions for carry forward of credit availed prior to introduction of GST. The declaration of closing stock as on the date of transition to claim credits, which were not earlier captured, was also time bound (Form Tran-1 was supposed to be filed by December 27,2017). State GST has replaced State VAT, Entry tax, Octroi, Luxury tax, etc. SGST is levied on services as well. To enable taxing of services by the State, the Constitutional Amendment Act, 2016 contains suitable provisions. SGST is administered by the State Governments. The SGST payable could be set off from the SGST credit or the IGST credit available. Subject to certain conditions, the closing input VAT balance available under VAT Act is available to the dealer, as on the date of transition into GST, and could be set off towards SGST (State GST) liability. Further, it is expected that the duty and tax paid on closing stock is available as credit, which may not have been claimed as set off in the VAT regime. IGST is levied on all supplies of goods and /or services in the course of inter-state trade or commerce. IGST would be applicable to import of goods or services from outside country as well, which is indicated in the Constitutional Amendment Act, 2016. The balance of credit under VAT as well as Cenvat Credit can be carried forward from the earlier regime. Further, the duty and tax paid on closing stock is available as credit where duty paying documents available, for hitherto exempted products / services which may not have been claimed as set-off. Lower deemed credit [at the rate of 60% (in case such goods attract CGST @ 9% or more) and 40% (in other cases) as per Rule 117(4) and in case such goods attract IGST then, the amount of credit at the rate of 30 % and 20%. respectively of the said tax paid] is available for those who do not have duty paying documents.